Tall Stories’ much anticipated sequel, The Gruffalo’s Child based on the award-winning picture book by Julia Donaldson and Axel Scheffler. 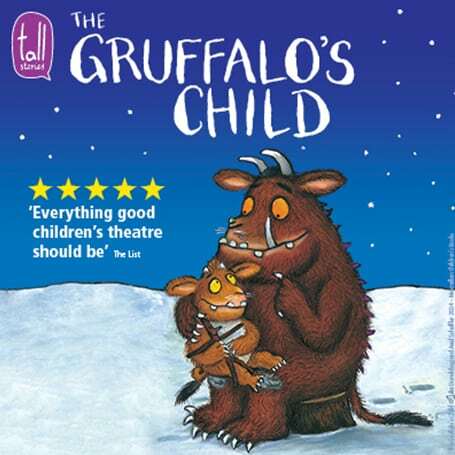 One wild and windy night the Gruffalo’s Child ignores her father’s warning and tiptoes out into the snow. After all, the Big Bad Mouse doesn’t really exist… does he? Find out for yourselves, by joining her right here at the Lyric Theatre Shaftesbury Avenue from Wednesday 22 November 2017 to Sunday 7 January 2018. 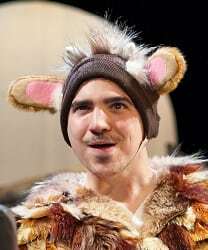 Expect 55 minutes of magical, musical fun for families with children aged 3 and up, nursery and primary school children, Early Years, Reception and Key Stage 1. Check box office for Family, Groups and Access rates. Tickets just £15 for the first three performances!